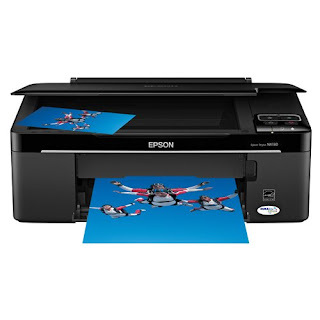 SUMMARY: this post will get the Epson Stylus NX130 scanner working under Ubuntu. As the Amazon reviews suggest, the Epson Stylus NX130 is not a combination printer and scanner that you should buy on purpose. The ink cartridges are unreasonably expensive and contain a chip that makes them automatically stop working after a certain amount of printing, so you can't refill the Epson cartridges and most generic cartridges won't work. If you want cheap, low-maintenance at-home printing, get yourself something nice like a Brother Duplexing Monochrome Laser Printer (they even have a version that supports Google Cloud Print) and some toner refills. That being said... most of my Berkeley belongings are found, not bought. I have no use for color printing at 20 cents a page, but the scanner is nicer than my previous trashpicked solution, an older-model HP Scanjet 4370. The vast majority of computer hardware — most webcams, card readers, printers, scanners, &etc — are plug-and-play on a Linux system and require no additional driver installation or configuration. Of course, the NX130 doesn't work at all. Type in 'NX130' and select 'Linux', and it'll find you what you need. For Ubuntu, you need to download and install the newest .deb packages for both iscan_data and iscan; at the time of writing, this means iscan_data-1.23.0-1_all.deb and iscan_2.29.1-5~usb0.1.ltdl7_amd64.deb. If you want to use the printer function, those drivers are also available. Just download, double-click, and let the Ubuntu Software Center handle the installation. If you're using some other flavor of Linux, download the drivers in whatever package format is appropriate. After installation, you're not restricted to using the included 'Image Scan' software; Simple Scan and XSane both detect the NX130 and work perfectly.